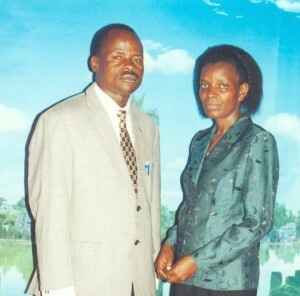 Biography: Deliverance Church Kibos Road is an autonomous branch of Deliverance Church Kenya, and was started in 1992. It is located in a growing city with an inadequate transportation system which affects church attendance. Elisha tells us the church's beliefs include, "Belief in the triune God. Belief that man is lost in sin without personal confession and repentance through faith in the Lord Jesus Christ for the forgiveness of sins. Belief in the personal work of the Holy Spirit. Belief in the church as the bride of Christ. Belief in personal bodily return of the Lord Jesus Christ, judgment and resurrection of the dead." The church is focused in a holistic ministry covering the children, youth, widows, prayer and effective outreach meetings. Evangelism projects include open-air campaigns at market places, school ministry and occasionally missions to prison. They also have home-based groups, or fellowships, which meet once a week on every Tuesday. Strengths: Emmy is a wonderful counselor while Elisha enjoys teaching and pastoral care. Elisha and Emmy also have 2 adult children, Paul and Eunice.